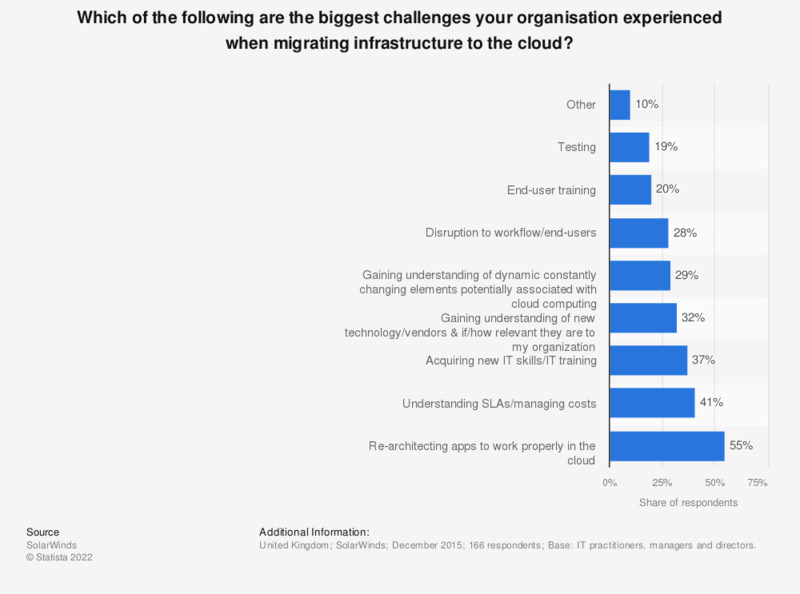 This statistic displays the responses of surveyed enterprises to the question: 'Which of the following are the biggest challenges your organization experienced when migrating infrastructure to the cloud?' in the United Kingdom (UK) in 2015. The most frequently cited challenge when migrating infrastructure to the cloud (with 55 percent of respondents) was re-architecting apps to work properly in the cloud.